The top energy efficiency stories of 2014 reveal an industry that’s not only growing, but also redefining itself to capture its full worth. This was a year of mega deals, utility soul searching, rising new tech, rising old tech, financing innovation, and policy invigoration. Here are the top 10 most read stories on EnergyEfficiencyMarkets.com for 2014 (in reverse order). 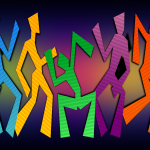 So here is number 10 in our top 10 countdown, an article from our Think Microgrid series. 9. Energy efficiency and money seem like the stuff of a Zen riddle. The energy efficiency market is worth at least $900 billion. But try to find financing for a project and no money exists. Here’s an article about a fund that might fix that. 8. Massachusetts knows how to do energy efficiency; it’s been the top state four years running in the ACEEE scorecard. What’s its secret sauce? Here’s an ingredient. 7. The U.S. took its most significant action to date on climate change with release of the draft Clean Power Plan. Bad news for coal. Good news for energy efficiency. 6. True, the US electric system is an engineering wonder. Some call it the biggest machine in the world. Still, it experienced 3,236 outages last year, according to Eaton’s Blackout Tracker. 5. It’s difficult to get solar installers to abide by the oft-stated recommendation that they make sure the home is as energy efficient as possible before they size the solar energy system. Look at how Charlottesville, Virginia is solving the problem. 4. Electricity sales are flat in the U.S. Worse, they could decline as much as 10 percent by 2040. Energy efficiency is cutting into utility sales. How can utilities save themselves? How Do Utilities Make Money in an Age of Energy Efficiency? 3. The term ‘microgrid’ has been used for years. Yet those who attend microgrid conferences joke that much of the event is spent in debate over the definition. 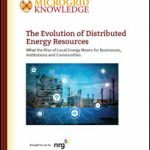 Industry experts explain what is — and isn’t — a microgrid in another excerpt from our Think Microgrid series. 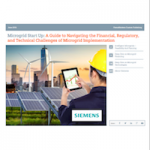 So What is a Microgrid, Exactly? 2. 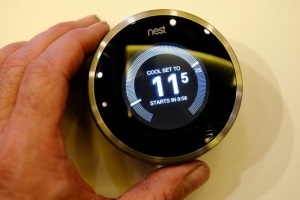 A collective “wow” echoed throughout the energy efficiency industry when Google announced its purchase of thermostat maker Nest for a smashing $3.2 billion. Who would have ever thought that a thermostat could attract this kind of marque deal? 1. And now the grand winner among the top energy efficiency stories for 2014. What captured your attention the most? It was an article about how governments fall short when it comes to quantifying many of the good things energy efficiency brings, such as better health, economics and electric grid operations. The article is based on a report by the International Energy Agency. Do We Think about Energy Efficiency the Wrong Way? Thanks for visiting our site, subscribing to our newsletter, participating in our LinkedIn Group, and following us on Twitter over the last year. We expect 2015 to be an even bigger year for energy efficiency and look forward to continuing to tell your story. this is a good content.